During my time as Product Manager at National Liftgate Parts, I had the opportunity to create materials for their catalog and monthly specials. Here are some samples of the graphic design projects I worked on. 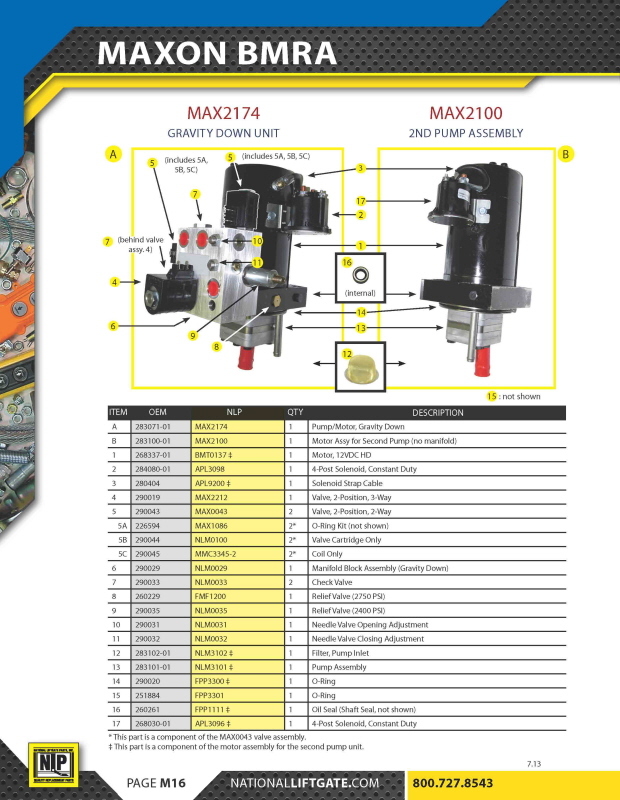 One of nine pages created for National Liftgate Parts' BMRA Catalog Insert, this page provides information for two different types of power units, with callouts and references for individual components. 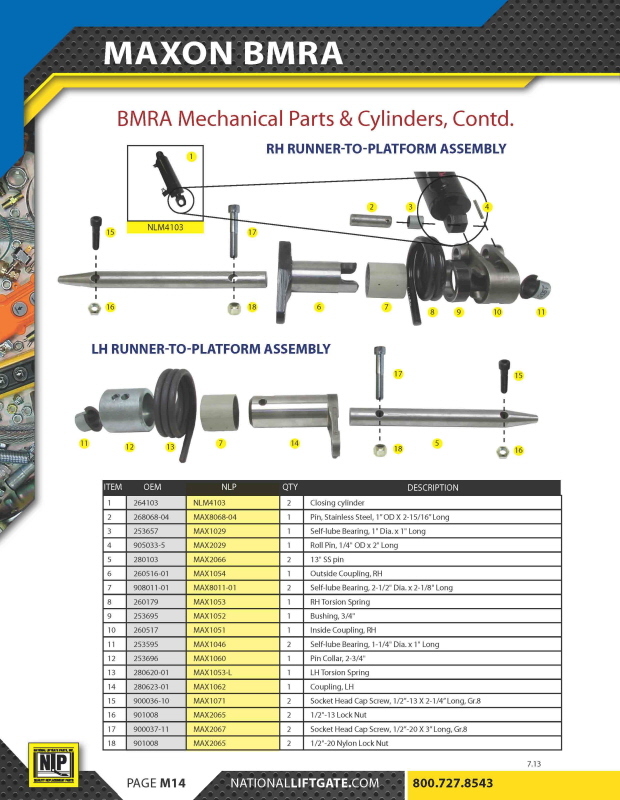 One of nine pages created for National Liftgate Parts' BMRA Catalog Insert, this page provides information on the hardware assemblies that connect the gate's hydraulic system to the platform unfolding mechanism. 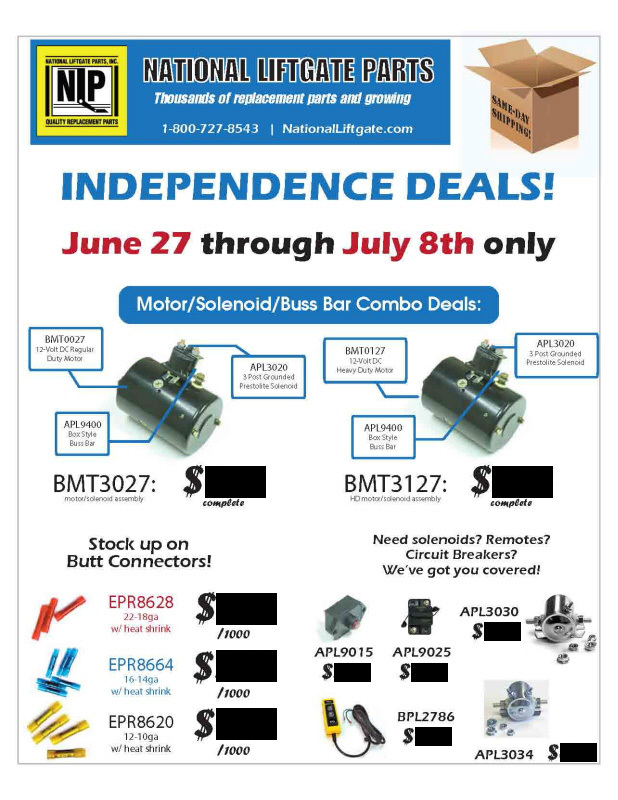 A flier created for NLP's July 2011 "Independence Deals" promotion. We take our work and products seriously at NLP, but we're certainly not "all work and no play." On my own time, I created this holiday comic for our December 2012 Specials, featuring a visit from would-be mascot Reginald the Holiday Motor.